Sometimes, the simple things in life are the best. 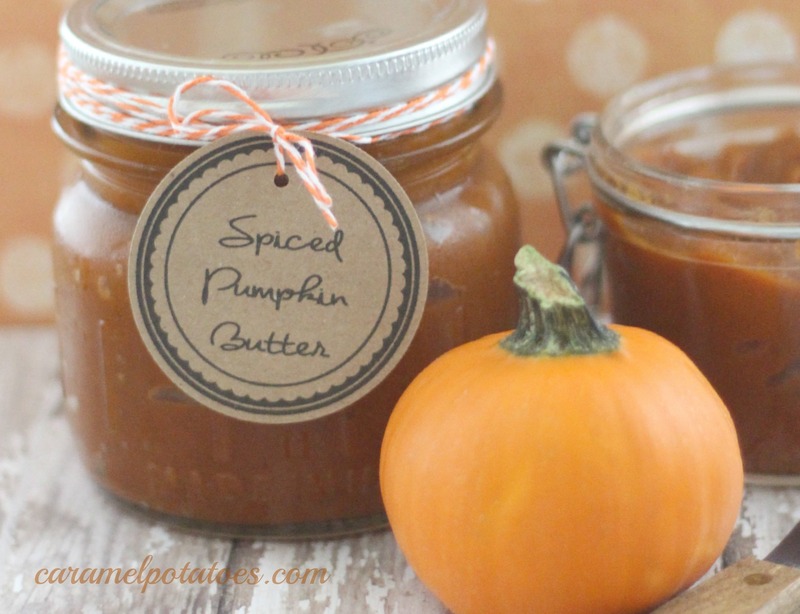 This Spiced Pumpkin Butter is a cinch to make, yet you will absolutely love how good it is, how much holiday flavor it has, and how easy it will make your life in so many ways! 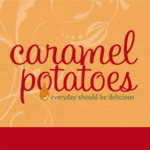 In about 30 minutes you can have a simple burst of flavor for all your holiday gatherings and to give as holiday gifts. Seriously, this stuff is somewhat addictive- it tastes so good; it’s basically like spooning pumpkin pie from a jar! Keep this little goody on hand through the holidays (if freezes) and set it out with just about anything. Your company will be so impressed and love the holiday touch. Serve it with waffles, pancakes, French toast, biscuits, muffins, bagels . . . you get the idea. Spoon it into your oatmeal and throw in some walnuts or pecans, and for a relaxing taste of the holidays, add 2-3 teaspoons to your latte or hot chocolate. 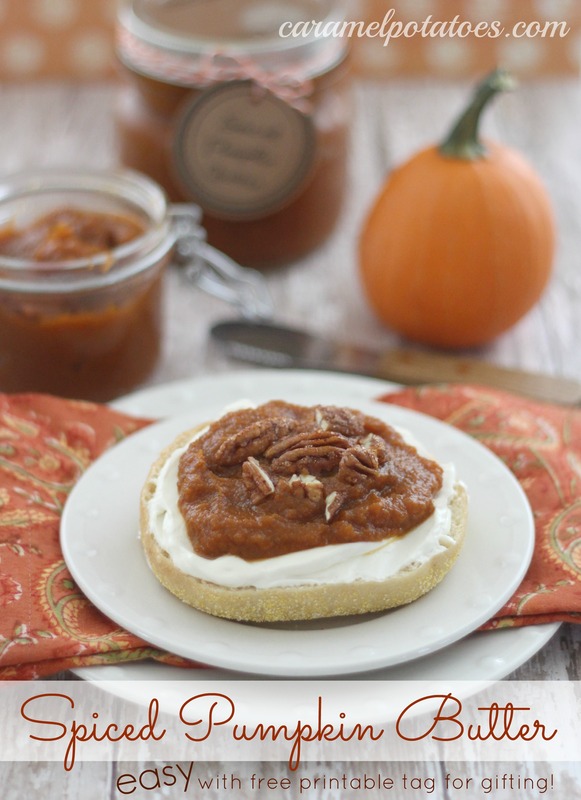 Once you taste how incredible this pumpkin butter is, you’re going to want to share it with your friends and neighbors. What a perfect gift. Make it up now and stash it in the freezer – then relax and enjoy the holidays with a cup of Pumpkin Spice Hot Chocolate. To make your gifting even easier, we’ve included a printable tag to wrap things all up! Combine all ingredients in a large sauce pan. Bring mixture to a boil and then reduce heat to medium. Cook, uncovered, stirring frequently, for 25–30 minutes or until thick and fragrant. Remove from heat and allow to cool. Makes approx. 2 cups. Store in refrigerator up to 1 week, or freeze up to 6 months. 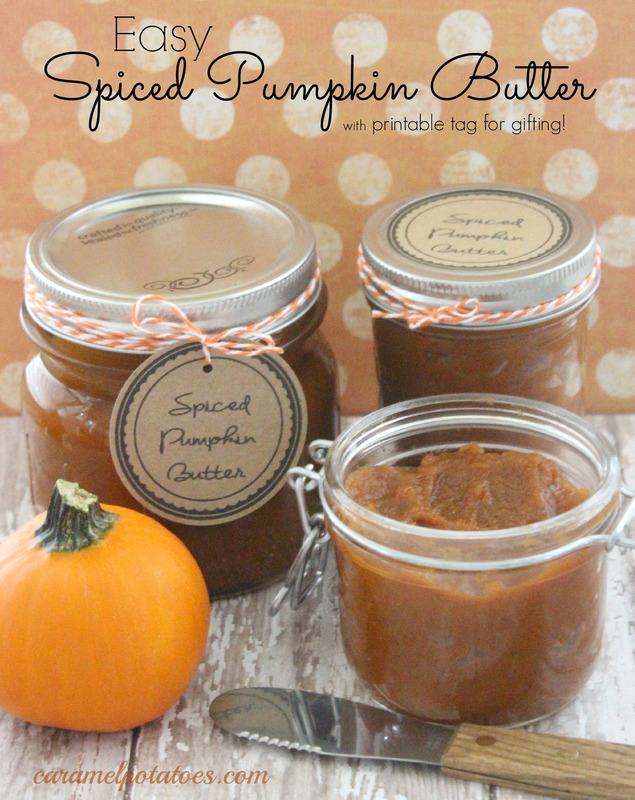 Download the Spiced Pumpkin Butter Printable Gift Tag here– print out on colored paper and attach. This looks so good. Thanks for the idea. I need a gift for my neighbors and I am gong to try this. OMG. I couldn’t wait so I made this and it is soooo good. Who needs bread? I can just eat this straight out of the jar. Yum. 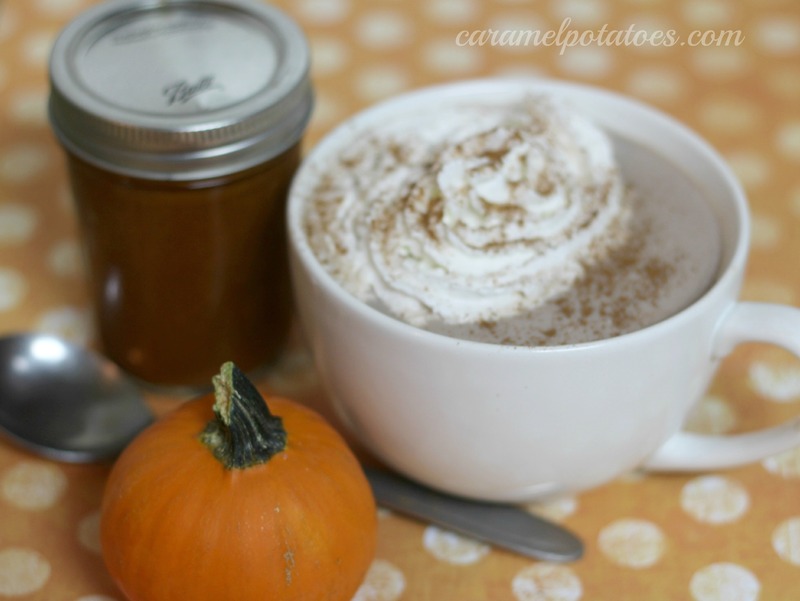 I love pumpkin butter!